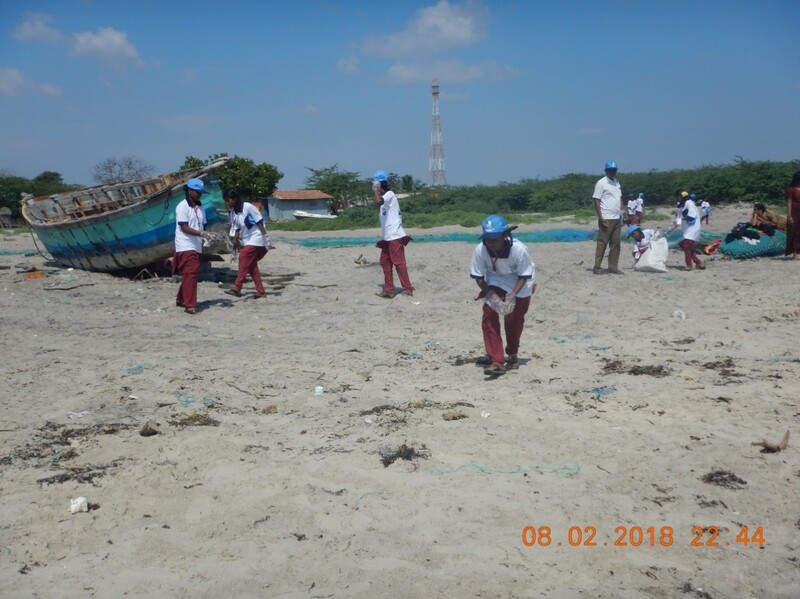 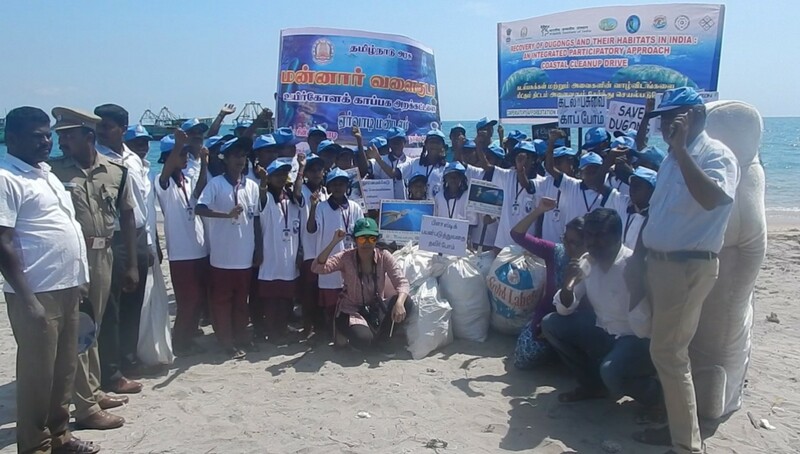 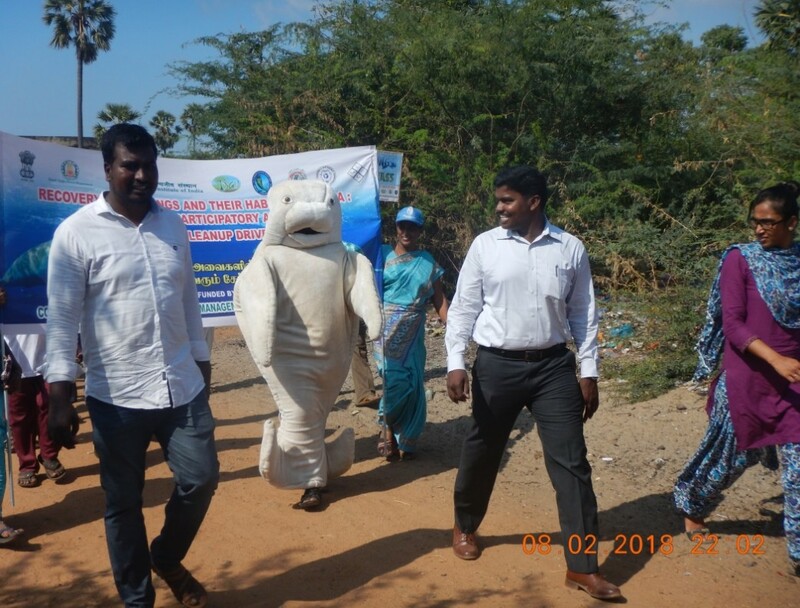 WII-ENVIS Resource Partner “Wildlife and Protected Areas” in association with The Gulf of Mannar Biosphere Reserve Trust (GoMBRT) and the CAMPA-Dugong Recovery Team, Wildlife Institute of India conducted a rally and beach clean-up programme at Chinna Ervadi Beach on 8th February, 2018 for school students to emphasize the importance of keeping beaches clean and create awareness about the marine life that is being impacted by plastic pollution and littering. 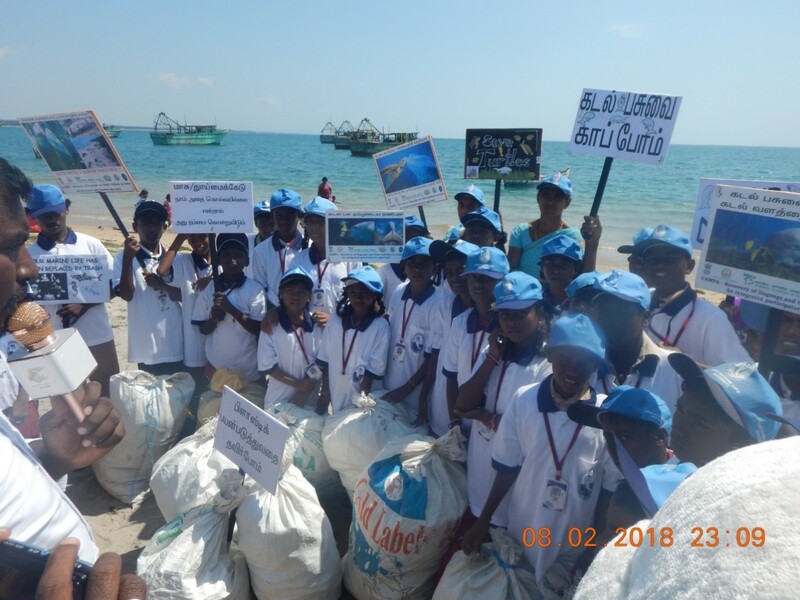 Slogans to protect endangered marine species, dugongs, in particular, to reduce plastic usage and stop littering were called out in both English and Tamil during the rally. 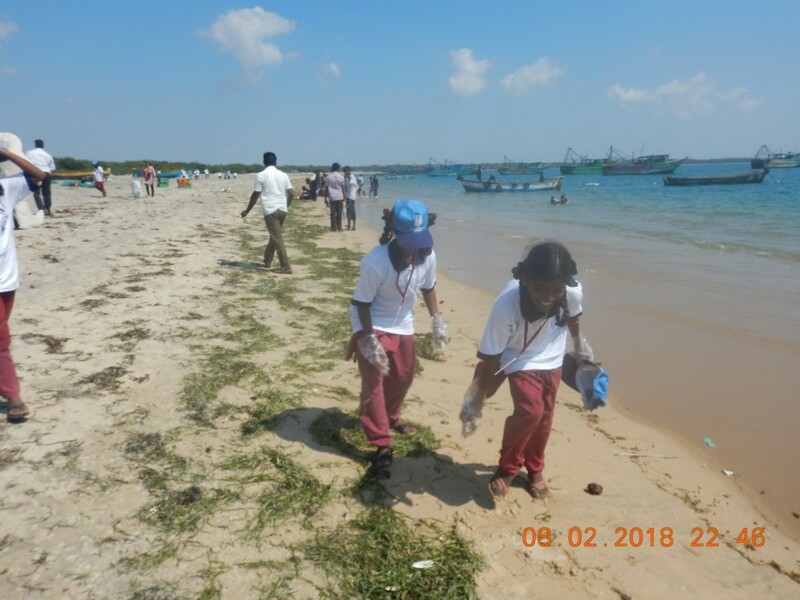 Students then filled up several bags with plastic trash from the beach and the amount collected in a short time span of 20 minutes, took the students by surprise. 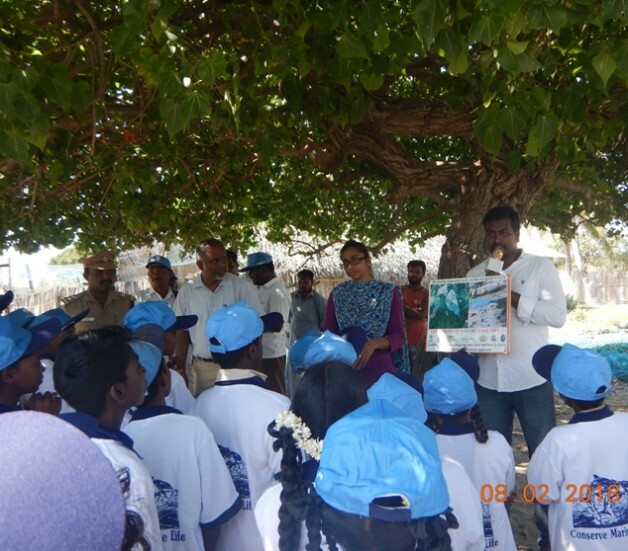 The GoMBRT provided the students with t-shirts and caps.